If now you are thinking of a gift to buy for your loved ones, relatives, or friends, why don’t you try a fruit basket as your gift option? Everybody surely love a basket that filled with healthy and delicious fruits and receiving them as a gift will likely create a happy feeling since they can assume that you are care! However, a gift should be one of the great ways to express affection, fondness, and appreciation towards your recipient, this is why a well-thought gift like the fruit basket Singapore is good to give. When a friend of you is sick or need to be hospitalized and you want to visit them, don’t forget to bring a get well soon gift of a fruit basket with you. This is definitely the best gift to give because fruits are the healthy consume and can show that you are care. During special occasions like the Christmas Days, Chinese New Year, and so on, it is best if you pay a visit with a gift in your hand to the people who matter or whoever is that you want to visit. And a fruit basket is your best choice of gift since they can still can look very special without being too personal, and everybody likes them. If you simply want to show your appreciation towards someone or some people for what they have done to help you throughout the year, a gift of fruit basket can be your perfect choice too. 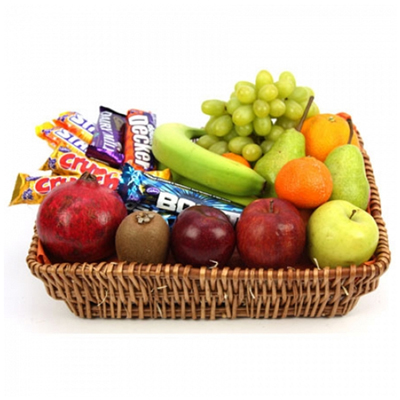 Let the recipient know that you are really appreciating them by buying the best fruit basket Singapore that not only contain of the fruits in the best quality but also packed beautifully and nicely in the basket. Other than carrying health advantages, a gift of fruits also affordable, appropriate for all kind of events and occasions, can please anyone and can be your way to say “thank you” or “congratulation” kind of messages. Definitely worth to buy for your gifting purposes.